Today, we are giving you the collection of best and top branded ponytail and side parting hair styling trends from the top brands which will definitely help you to get a different look. 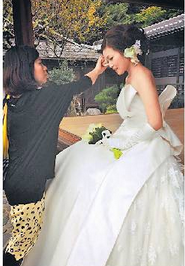 Hair styling is as much important as the rest of the things like which clothes to choose, which shoes to pick, make-up, accessories, etc. Your face is highlighted by your hairs. Today, we are giving you the collection of best and top branded ponytail and side parting hair styling trends from the top brands which will definitely help you to get a different look. Hair styling is as much important as the rest of the things like which clothes to choose, which shoes to pick, make-up, accessories, etc. Your face is highlighted by your hairs. 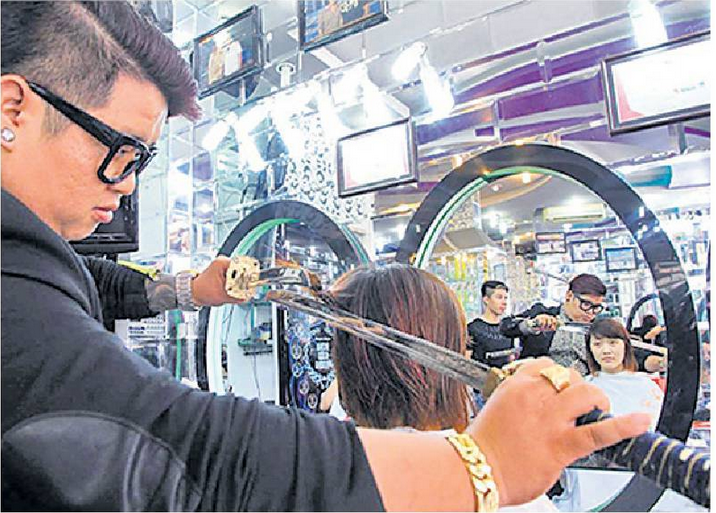 All the common words which comes on a human head like hairstyle, haircut, or hairdo refers to the styling of hair. This fashionable styling of hair is now considered as an aspect of personal grooming, cosmetics and if we want to say it in one word that’s ‘fashion’. Also we can see that practical, cultural, and popular considerations also influence some hairstyles. This ponytail style is the king in summers. Here are some of the styles by the best brands in the fashion week. This style was seen at Donna Karen Summer/ Spring 2012. 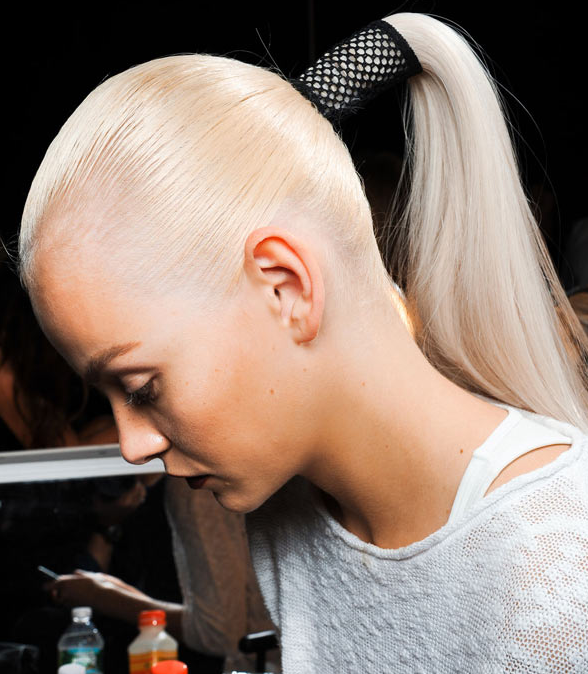 Now this style was also seen at Donna Karen Summer/ Spring 2012, they have given the ponytail a 90s inspired look by adding a wrap around it. Its also a Donna Karen style in which they have taken the hair straight back from the hairline and pulled it as tightly as possible to give it perfection. 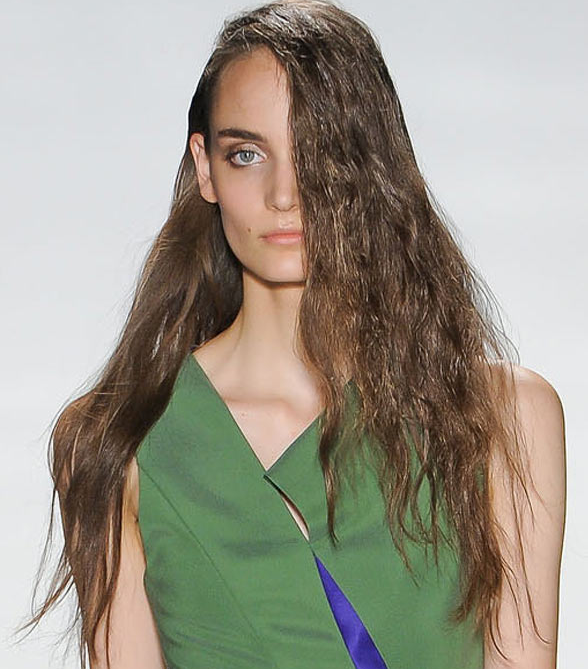 Its a beautiful style seen at David Koma Summer/ Spring 2012. Its a style seen at Hervé Léger Summer/ Spring 2012, in which they have sectioned the hair into two or three ponytails and put them together at the nape of the neck. 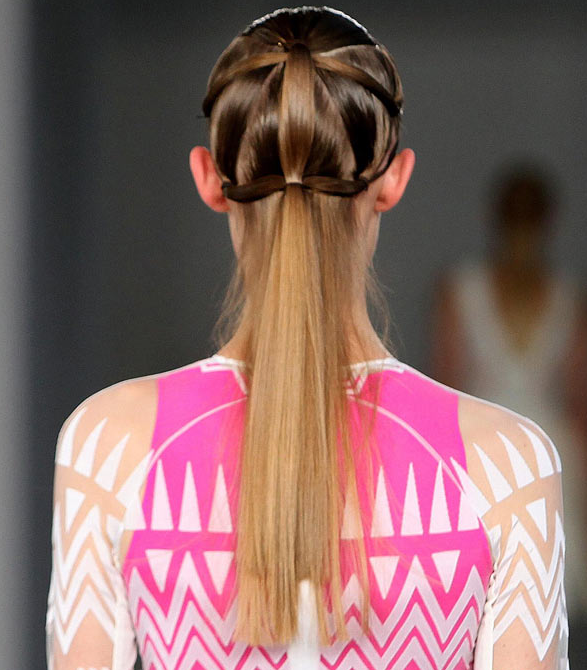 This hair style was seen at Hervé Léger Summer/ Spring 2012, its a simple middle parted pony. This a simple pony for preppy ensembles seen at Ralph Lauren Summer/ Spring 2012. Its again a Ralph Lauren Style with a center parting hair styled pony to give it a soften look. 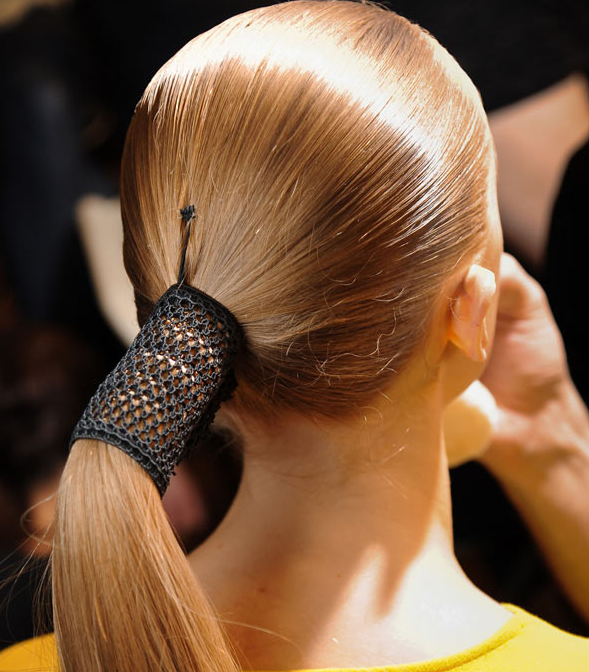 Its a style seen at Ralph Lauren Summer/ Spring 2012, in which the main focus is on the skin to give it a clear and glowing complexion which is important for a swept- back ponytail. 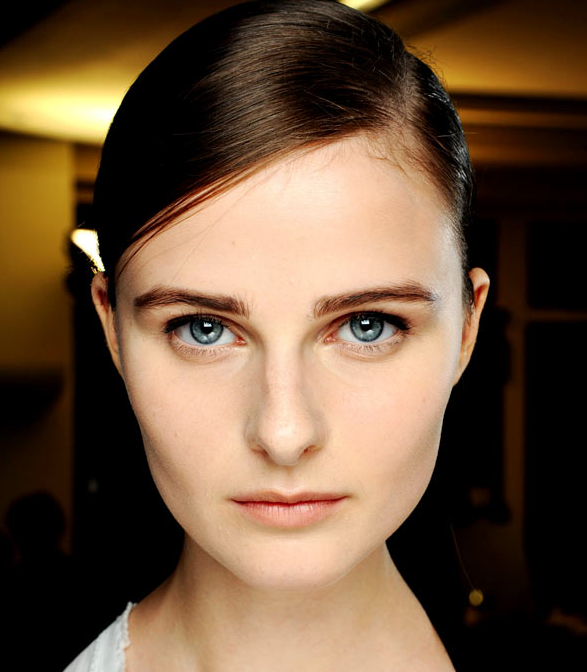 The side- parting style is not as dominant as it was in autumn/ Winter 2011, but still its being reckoned for this summer. 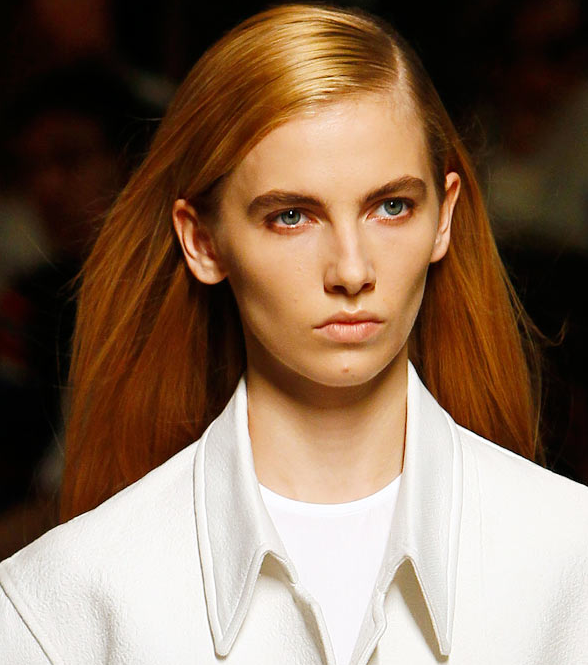 Now this hair style is seen at Celine Summer/ Spring 2012, which gives you a sophisticated look. This hair style is seen at Dries Van Noten Summer/ Spring 2012, in which the hairs is being swept back into a low- slung ponytail or bun to get a perfect office going style. 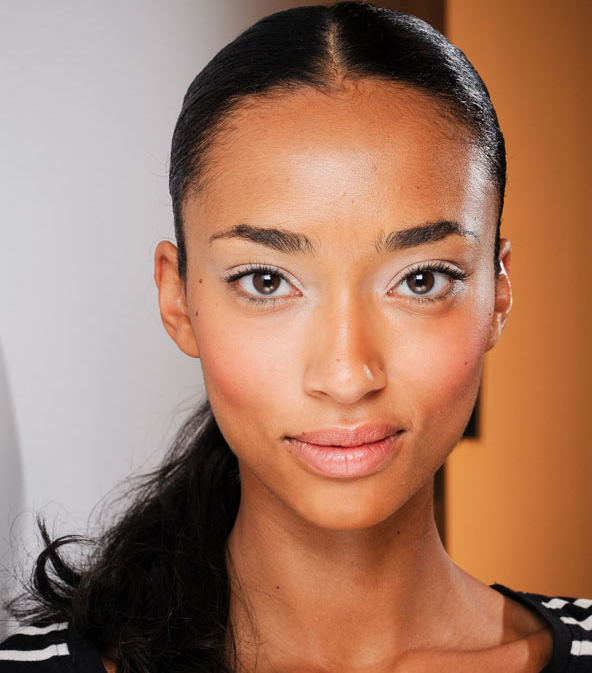 This style is seen at J Mendel Summer/ Spring 2012. Its a cool and grungy look in which you just need to plait your hair before you go to bed and slick behind one ear.